Just an update on the sign up offer over at Mr Green which is well worth a look. 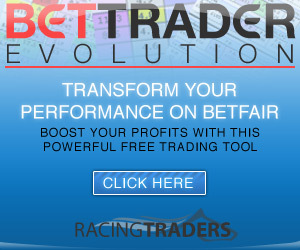 They currently have a 100% bonus upto £100 with a 35x WR. Usually this wouldn’t be worth it because of the high wagering and the fact that it uses your cash before the bonus money but because the casino and sportsbook wallets are shared then you can get around this by betting with the deposit before playing with the casino bonus, making it effectively risk free. So to play sign up, deposit upto £100 to get the matched casino bonus. Then back / lay the deposit in the normal way on the sports book. It would be better to select something that settles in a day or two so that you will time to complete the wagering of the bonus before this. With the bet placed you can now use the remaining casino bonus as you like to try and win big and get through the 35x requirement but anyway it is risk free minus the cost to the back / lay bet so just play it however you like. Note that if your bet wins before you have completed the casino wagering then you will have to place another bet before you carry on with the bonus wagering else it will start to take from the cash balance instead of the bonus. However once the casino wagering is either completed or busted then any subsequent money that comes back will be instantly withdrawable. Obviously this is a bit of a loophole so could get changed / closed or reviewed at anytime but if you fancy it then now would be the time to have a go and of course you don’t have to go for the full £100, just whatever you are comfortable with. Plus they have 120 free spins for new sign ups too, the winnings from which can be played in the same way as above and also we have seen some nice existing user offers too both casino (the previous roulette one was excellent) / sports so well worth having an account. Just click below for more details….